This morning I ‘saged’ my house. Quite a common activity for me these days! Is this something you have heard of but have never been sure of how to do? I’d like to share with you exactly how I do it and this will give you a start on your energy clearing practice. Personally I feel that we all do it differently, adapt our own style, our own rituals and prayers but often with new things, it is the STARTING of the practice that can be a little scary or off putting to many people. So, please enjoy this article with my method of clearing and ‘saging’ the house. Clearing the energy in your home will freshen it up. It will clear any negative energy that may be hanging around either in the air on on furniture, clothing etc. Often during the course of a day we can ‘pick up’ negative or lower vibrations that we then bring home so its good to clear these out so that the house is calm and loving with good positive energy in the air and furniture! The first thing I do is make sure I have a sage stick to burn. They are easily found at new age shops (should really be called that anymore! ), crystal stores, energy healing centres or stores or anywhere where you find Tarot, Oracles, energy or crystal products. You can also purchase them online through ebay etc. 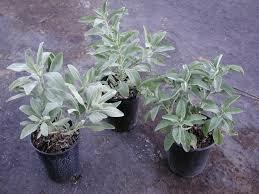 A sage stick is made from the sage plant with stems of it being bundled together and then dried. I like to find a fairly loosely bundled one as it burns better. They last for many months depending on your use. I find its good if there is no one else in the house when the smudging takes place. Easy for me as I live alone but if you have family or a partner, ask them if they would like to be involved , alternatively wait until you have (or plan to have) some time on your own. 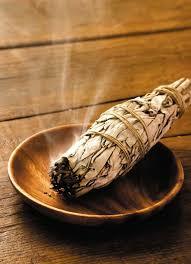 Light the sage stick until there is a good amount of smoke coming from it but no flames. I do this over the sink so embers do not drop on the floor. Then proceed to fill each corner of each room with the sage smoke while saying your blessing or prayer. Start at one area of the house and work your way around it in a continuous loop. Lounge: I bless this room where I relax and talk with my family, friends and pets. I bless the ideas that come from here and I bless the comfort I feel here. Kitchen: I bless this room and the nutritious food I produce here. I bless the way it feeds me and sustains me in a healthy manner. Office: I bless this space where my creativeness earns income and where ideas turn into being. I bless the inspiration that comes to me here and the guidance that surrounds me. Bedroom: I bless this room where I am able to rest my body. I bless the wild and vivid dreams that present and the passion that happens here. I bless the serenity and calm in here. Other bedrooms: Usually I would bless whoever sleeps there or guests that may stay there. Bathroom: I bless this space that cleanses me daily. Toilet: I bless this space where waste from my body can be eliminated and allow my body to function in a healthy way. 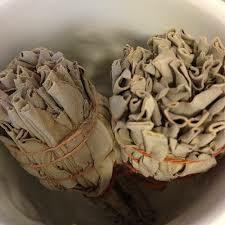 I then put the sage stick into my incense pot and let it burn out naturally before I pack it away after it is cool. This process can also be used with any second hand furniture you may have or if you feel that negative energies have come to your home through people or household items. I always find the house feels lighter and fresher after saging. I use it as part of my house cleaning regime weekly and it gives a great energetic start to each week or weekend. Give saging a try in your home! I know you will experience the difference.